DUI with bad driving: (a) It is unlawful for a person who is under the influence of an alcoholic beverage to drive a car, or truck, or motorcycle or even a lawn mower. DUI with .08 alcohol level (b) It is unlawful for a person who has 0.08 percent or more, by weight, of alcohol in their blood to drive a vehicle. DUI as an addict (c) It is unlawful for a person who is addicted to the use of any drug to drive a vehicle. This subdivision shall not apply to a person who is participating in an approved narcotic treatment program. DUI driving in commercial vehicle (d) It is unlawful for a person who has 0.04 percent or more, by weight, of alcohol in his or her blood to drive a commercial motor vehicle. DUI with drugs (e) It is unlawful for a person who is under the influence of any drug to drive a vehicle. DUI with drugs and alcohol (f) It is unlawful for a person who is under the combined influence of any alcoholic beverage and drug to drive a vehicle. Changes in California DUI Laws Affect drivers in California. The Butte County court has new forms regarding these laws. Drugged driving is more common on California roads and highways than drunk driving, according to a 2013 study commissioned by the California Office of Traffic Safety. “No Driving” defense. In many cases a person can be charged with a DUI even though the police did not see them driving. Indications of driving, such as the car hood is warm, the keys are in the ignition, and the engine is running and no one else is around, are circumstantial evidence of driving. Many times, on officer arrives on the scene of an accident where the accused is already out of his vehicle, which doesn’t preclude the accused from being arrested for DUI. Having a drink after driving is a legitimate defense to DUI. A typical drinking after driving DUI defense is when someone is involved in an accident or their car breaks down and shortly thereafter they go into a bar or liquor store to acquire and consume alcohol. In many of these situations there will be a receipt to establish that the alcohol purchase occurred after driving. Moreover, a viable defense to DUI occurs if a store clerk or bartender will testify that the accused was not or did not appear to be intoxicated. Some people accused of DUI have a drink as soon as they get home. Rising Blood Alcohol Defense- A commonly used defense is a rising blood alcohol defense. This could be that a person was drinking shortly before driving. Alcohol takes time absorb into a person’s blood stream. So, a person may be sober or under 0.08 blood alcohol level while driving but under the influence over 0.08 at the time they are tested after arrest. The most viable blood alcohol defenses occur when an accused is stopped or found close to their destination so it can be shown that when they arrived at their destination, they were not under the influence or driving with a blood alcohol level of .08 or higher. In many instances in California, a person is given two breath tests, one directly after being stopped called a PAS (preliminary alcohol screening) test and a breathalyzer test at the station. A rising blood alcohol defense can be won many times when the second breath test read out is higher than the first PAS test. A timeline for a reasonable assessment of your alcohol levels can be addressed by your attorney. California DUI law applies to any drug, even if the drugs are prescriptions taken as prescribed. The drugs can also be illegal or even over-the-counter. A Chico DUI Lawyer will evaluate your case, and make a defense plan for you. The prosecutor must show that you were driving, and impaired by the alcohol or drugs in your system. You can be stopped by police even if your driving was good. For example, a license plate light was out, or even if you were not seen driving, but are standing outside the car while it’s broken down. Your Butte County DUI Attorney knows the law, the exceptions to the law, and the burdens of proof needed to defend your case. California DUI law requires the BAC used against you to be at the time you were driving, not ½ hr. later at the jail, or an hour later in a blood test. We can file the appropriate motions to inspect the calibration of the equipment used to measure your alcohol levels. You can be charged with a DUI even if you were driving in a safe manner and passed the field sobriety tests. We will file a motion to suppress the evidence if police stopped you illegally. fines and fees of approx. $2000. DMV Hearings- When the DMV notifies you that it intends to act against your driving privilege due to a DUI arrest, you are entitled to a DMV hearing. You must request this hearing (known as a DMV administration per se hearing) within 10 days of your drunk driving arrest. The DMV will initiate this process for any DUI arrest, regardless of whether you took a chemical test. The ultimate difference is that the DMV will not issue a restricted license to you if you refused the test. A “restricted” license allows you to drive to/from work, school, and/or your alcohol program while your license is otherwise suspended. If you either (1) fail to request a hearing within the allotted timeframe, or (2) lose your hearing, your license suspension automatically goes into effect. 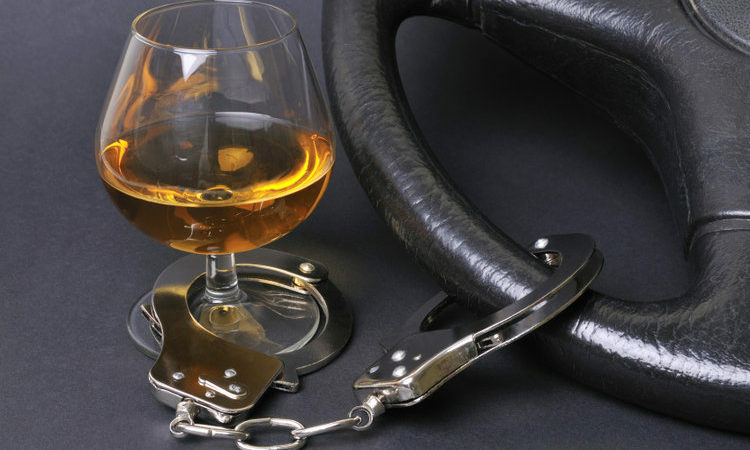 California State Senator is Starting to Push for Tougher DUI Laws California. This would effect all Counties including, Butte, Tehama, Glenn and Sutter County. California State Senator Jerry Hill from San Mateo and Mothers Against Drunk Driving passed Senate Bill 1046. This new law will apply to all the counties in California and effect DUI sentencing. The law would state that regardless of the number of times a person has been convicted, or the amount of alcohol in a person’s system, that if someone is convicted of DUI, they’d be required to have an interlocking ignition device on their vehicle. This is a device that a person must blow in periodically while driving the vehicle to show that they are not under the influence of alcohol. Boating under the influence is similar to driving under the influence, it has the same penalties, and same legal issues: 1. Were you driving a boat? 2. Did you have a blood alcohol level of a .08 or more at the time of driving. If arrested on our local waterways such as Lake Oroville and the Sacramento River call us today. Attorney Susan Hearne was a boat patrol ranger and has the knowledge and experience to handle your case! No person shall operate any vessel … while under the influence of an alcoholic beverage, any drug, or the combined influence of an alcoholic beverage and any drug. 655(c) Boating w/ .08 > No person shall operate any recreational vessel …. if the person has an alcohol concentration of 0.08 percent or more in his or her blood. 655(d) No person shall operate any vessel other than a recreational vessel if the person has an alcohol concentration of 0.04 percent or more in his or her blood. Punishment for BUI – (First Offense only; not combined with any DUI) Harbor and Navigations 668(e): Any person convicted of a first violation of subdivision (b), (c), (d), or (e) of Section 655…. shall be punished by a fine ..or imprisonment in a county jail for not more than six months, or by both that fine and imprisonment. California Vehicle Code 23103.5- WET RECKLESS In California, “Wet Reckless”, CA Vehicle Code 23103.5, means that you were involved in driving with a blood alcohol level of less than a .08. It is commonly used as a plea reduction in place of the more serious charge of a DUI. A wet reckless is helpful, as there is not a mandatory jail sentence, and the court will not suspend your driver’s license. With a “Wet Reckless” there are still fines, and other drawbacks to a plea. Another benefit of accepting the plea bargain is that there is not a mandatory driver’s license suspension for a wet reckless conviction. A DUI in California is a prior able offense, which means each time you are convicted of a DUI the punishment has to increase. For example, the second time you are arrested for a DUI you will face a minimum of 96 hours in jail, the third time you will face a minimum of 120 days in jail. Because a “Wet Reckless” does not require jail time, a judge will typically not require jail time on a “Wet” even if this is a second offense. Wet Reckless Drawbacks The benefits of a wet reckless are clear and numerous, however, there are still some drawbacks to accepting the lesser charge. If you get convicted of a DUI within the ten-year look-back period then you will subjugated to harsher punishments. This means that you will be treated as a repeat offender and the wet reckless will be treated as a DUI. Accepting a wet reckless does not ensure that you will not lose your driver’s license. If you either lose your DMV Hearing or if your alcohol level (BAC) was 0.08% or greater then you will have your driver’s license suspended. How Do You Accept a Wet Reckless? Not all cases are eligible for a wet reckless plea bargain. The prosecutor is likely to reduce your DUI charge to a wet reckless if your BAC is close to the legal limit of 0.08%, if the prosecutor thinks he/she will likely lose in court, or your attorney has been able to argue how your alcohol levels are below a .08. It’s important to hire a skilled Butte County defense attorney to handle these cases because your attorney will be the one to point out the shortcomings of the prosecutor’s case and argue on your behalf that a wet reckless is a better option for all parties involved. A wet reckless will also be an option for persons with a clean driving record and with little criminal history.